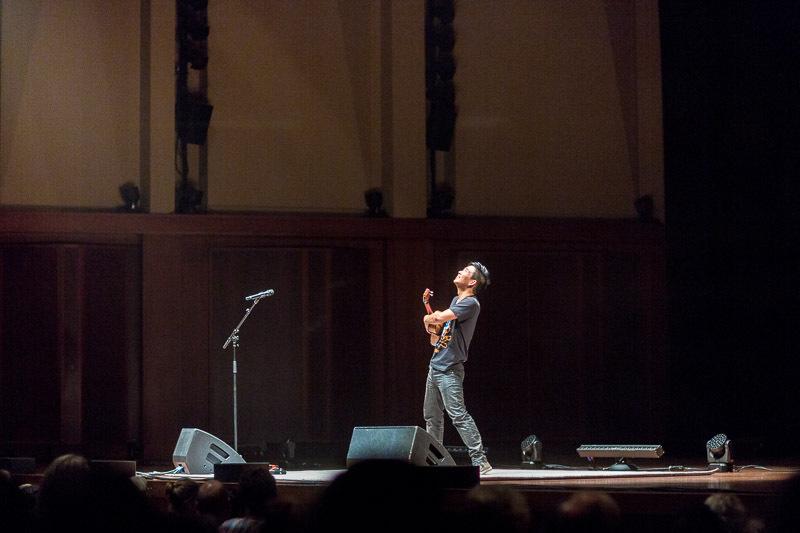 Amazing.BENAROYA HALL S. MARK TAPER FOUNDATION AUDITORIUM last might was the venue for Earshot Jazz Festival presentation of Jake Shimabukuro. 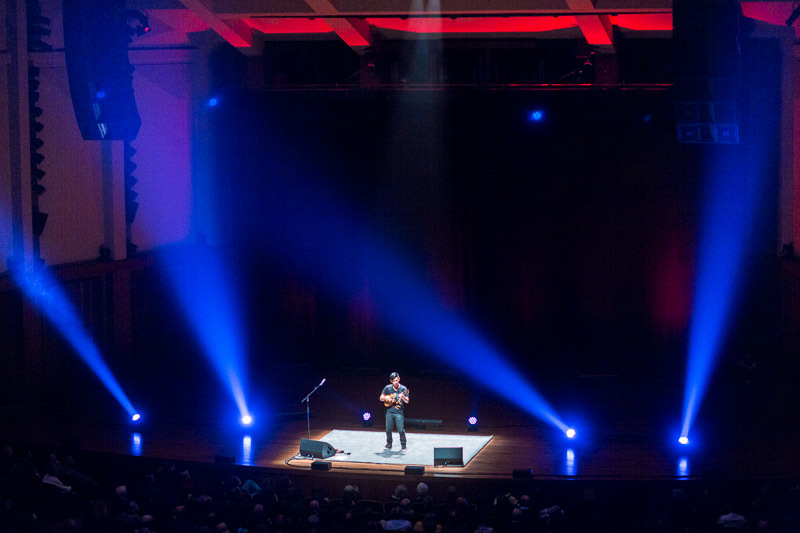 There was something indescribable in the sight of this young man all alone on the huge stage holding a diminutive instrument and projecting out towards a full house of Benaroya Hall’s large auditorium. 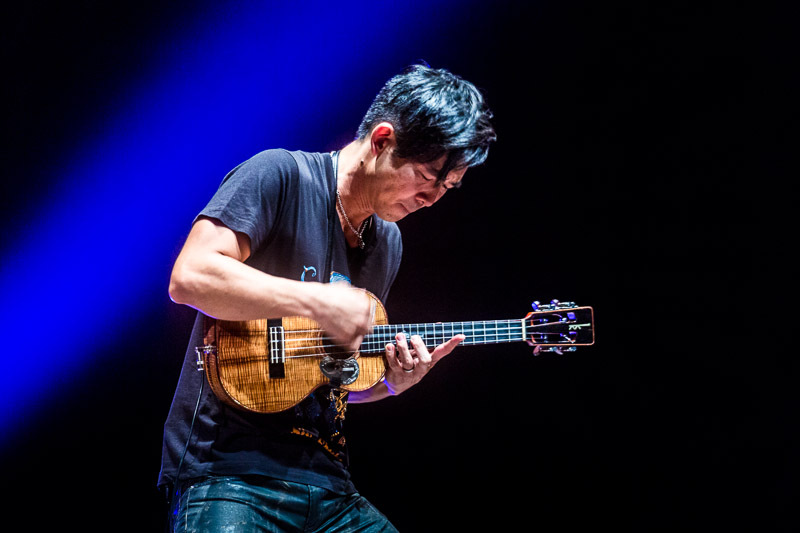 Perhaps Pearl Jam’s Eddie Vedder said it best: “Jake is taking [the ukulele] to a place that I can’t see anyone else catching up with him.” It’s rare for a young musician to earn comparisons to the likes of Jimi Hendrix and Miles Davis. It’s even harder to find an artist who has entirely redefined an instrument by his early thirties. 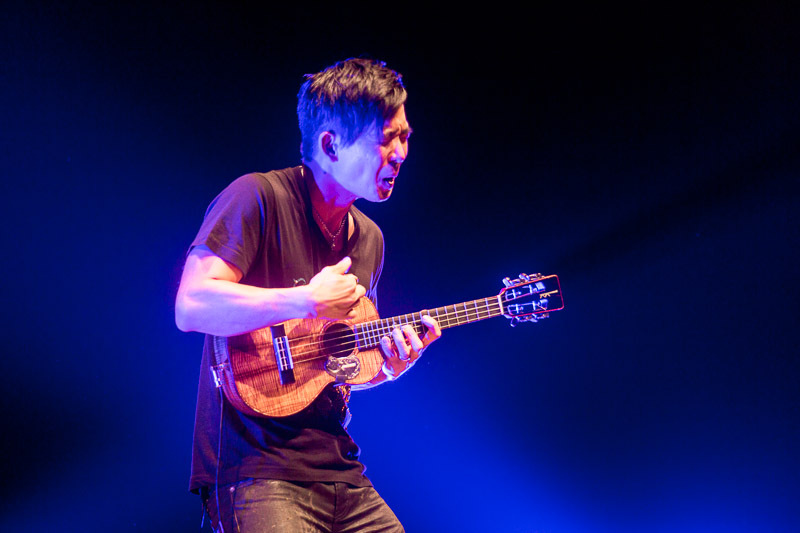 But Jake Shimabukuro (she-ma-boo-koo-row) has already accomplished these feats, and more, in a little over a decade of playing and recording music on the ukulele. 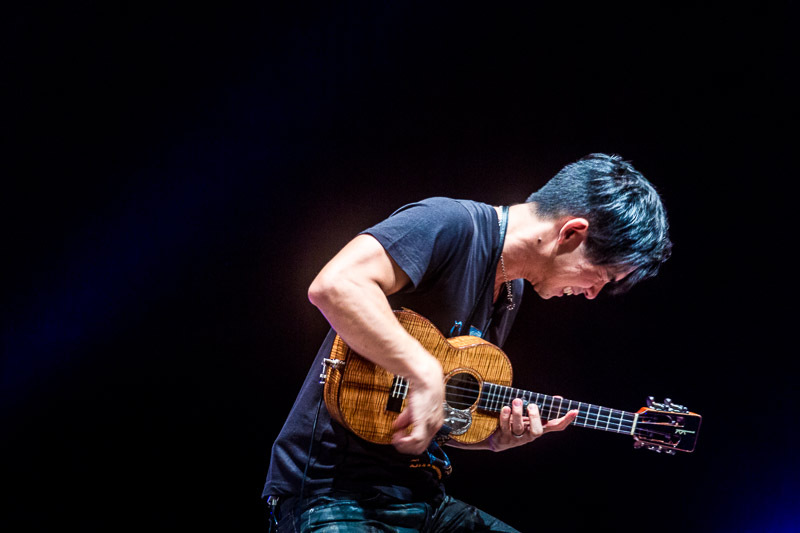 In the hands of Shimabukuro, this traditional Hawaiian instrument of four strings and two octaves is stretched and molded into a complex and bold new musical force. 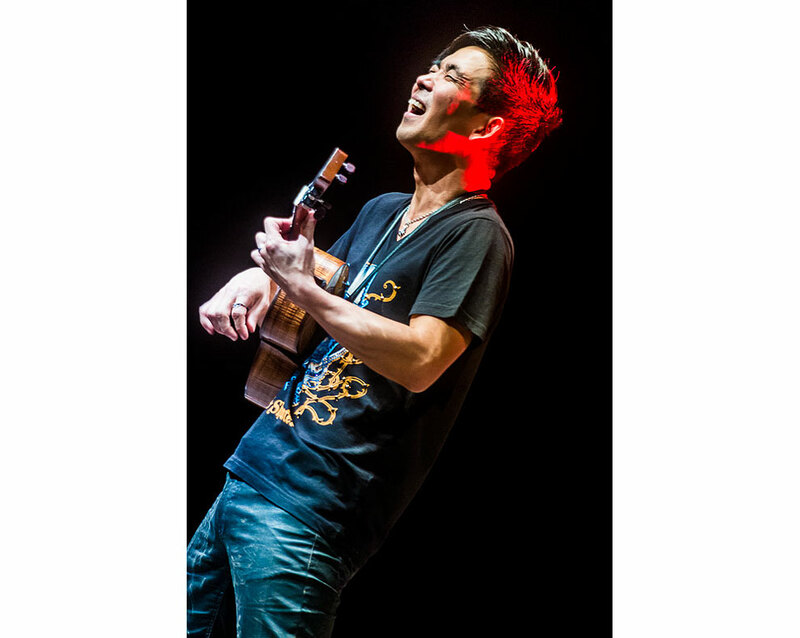 Jake and his “uke” effortlessly mix jazz, rock, classical, traditional Hawaiian music and folk, creating a sound that is technically masterful, emotionally powerful and utterly unique in the music world.